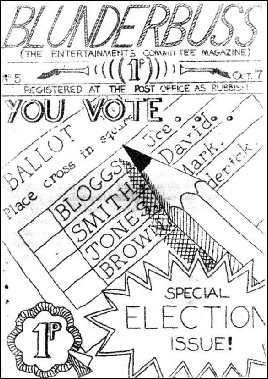 The elections for the Staff-Student Consultative council was a highlight of the Autumn term of 1977. Even Blunderbuss covered it at the time! There were three candidates for the Chair of the Council: David O'Brien, Simon Oelman and Martin Collier. On Friday 14 October, each candidate put forward their policies during the Tutorial period. This was followed by an open meeting the following Tuesday (18th) in the JCR, where each candidate answered questions from students. Voting took place on Friday 21 October. 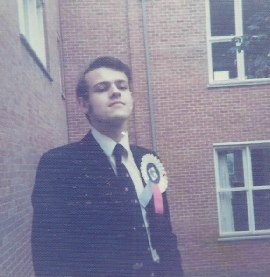 Kevin Desmond was the Returning Officer, responsible for the poll. "Farnham College students are not avid for radical student power, if Friday's voting for the new chairman of the Staff-Student Consultative Council is anything to go by. "In a presidential style election, win which every student and staff member had a vote. they chose by an overwhelming majority the candidate whose slogan is "Moderation in all things" - Martin Collier of Lodge Hill Road, Lower Bourne, who has Parliamentary ambitions. 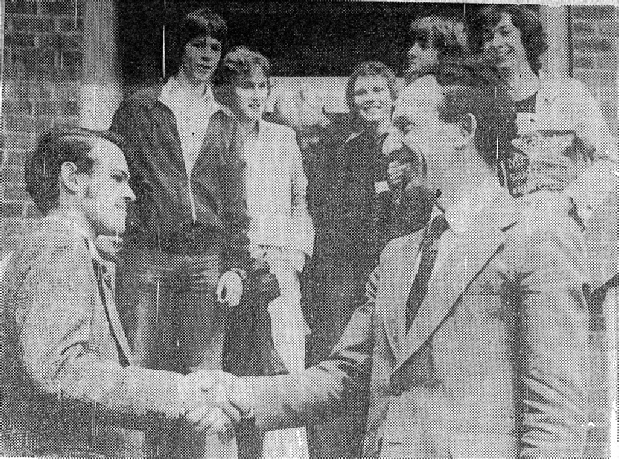 Martin Collier elected as chairman of the staff-student consultative committee"A crowd of about 100 students gathered outside the main entrance at 4pm on Friday to hear the principal, Mr Paul French, declare the result from the steps. They greeted the announcement of Martin's elections with rousing cheers and only a modicum of boos. "Wearing a conventional short and tie and a short hair-cut, with a rosette on the lapel of his tweed jacket, and carrying a rolled umbrella, the successful candidate warmly thanked his supporters and the returning officer, Kevin Desmond, and his staff. He also thanked his opponents for a "very sporting election campaign". "Martin, who is studying for his History, Geography and English 'A' levels and has ambitions to go into Law and stand for Parliament, told the Herald he believed his election was a victory for common sense. "His election speeches and manifesto were based on the assertion that students cannot expect to bring about changes in the running of the college overnight; they could only hope to influence over a period of time, and might themselves have left before that influence became effective. "By law, the only person who is responsible for the running of the college is the principal, and those who have wild ideas about student rule are wasting their time. They won't have any case unless they are seen to be a responsible body. "Some people feel the Consultative Council has no real power, but it is an important body in that it allows the principal to consult with the students and get to know exactly what they feel about decisions. It is hardly to be expected that the students should be running the college but right that they should have a certain amount of influence on the way it is run. "Martin added that he had had an excellent body of supporters campaigning for him. Voting was by secret ballot at a polling booth set up in the main hall." "Dear Both, 1977 is, I think, correct. 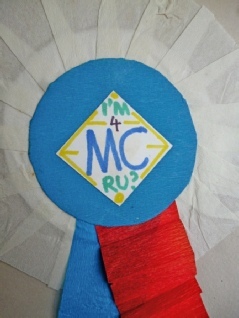 We fought a barnstorming campaign with a simple message "Let MC B the 1 4 U" and "I'm 4 MC R U?" We were years ahead of sxtspk! It was all great fun. "I seem to recall that a member of staff, the identity of whom I have forgotten (if I ever knew it), commented in despair "What a choice: a communist, a fascist and an upper class twit". "I had a chat with Simon at the reunion in 2000. Interestingly we had both become disillusioned with politics for the same reason - "your opponents are opposite you, but your enemies are behind you." I have stuck a toe into the murky waters recently as an Independent member of St Ives Town Council (and the current Mayor), but I have been effectively immunised against party politics; the antics of some of my council colleagues with party affiliations certainly do not encourage me to get involved!"